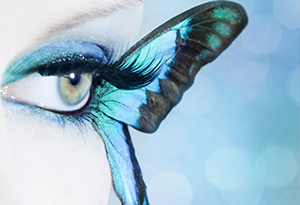 Butterfly Lashes was started to help embellish the beauty of the eye. 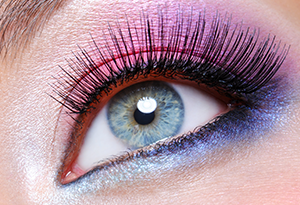 We want you to feel glamorous and free while wearing eyelash extensions. Our clients are top priority and that means each and every person must feel as beautiful as a butterfly when their session is complete. It is important that each client leaves the experience feeling wowed, satisfied, and loving their lashes. To achieve this professional look, the proper technique and adequate timing is required. 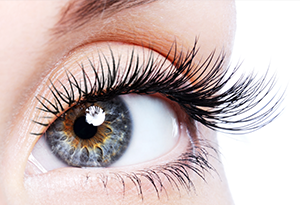 Our eyelash artists have undergone extensive training in the art of eyelash extensions. Our goal is to ensure each client has the best eyelash experience, so safety is our number one priority. With that being said, we ensure our clients are pleasingly satisfied. Each lash artist is licensed with the Texas Department of Licensing and Regulation. This glamorous look constists of a more natural look by adding silk or synthetic lashes. It is perfect for an everyday look morning or night. This look is achieved by increasing the volume and adding layers to the eyelash. This look is perfect for photoshoots & performances. Four weeks or more a new set is required. Knowing how to maintain your lashes is very important. Below are procedures and guidelines on maintaining your glamorous look. Providing clients with the proper safety tips is very important here at Butterfly Lashes. Please read aftercare instructions. Use an approved eyelash extension sealer such as “Black Diamonds Lash Extension Sealer" that helps protect extension bond from natural oils and prolongs the life of the extension bond between refills. Use lint free swabs to remove makeup by washing gently around the eyelashes. Book your eyelash touchup/refills at 2-4 week intervals to ensure fullness. Do not get your lashes wet for 24-48 hours – this includes steam/saunas. Do not use oil-base cleansers, makeup removers, etc. Do not use a manual eyelash curler. 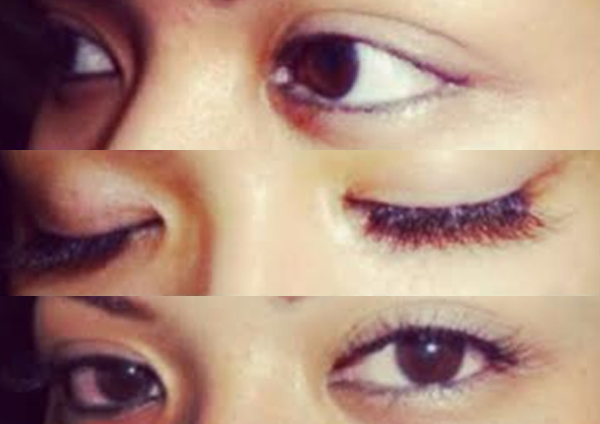 Do not rub your eyes or pull off extensions as it will pull out your natural eyelashes. It is very important to not curl your lashes the day of your appointment. Oil free, eyes free of makeup, lotions, or serums. 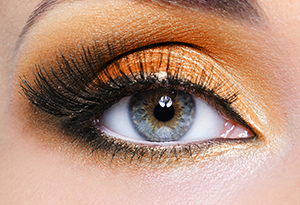 Eyelash tinting and perming should be done 48 hours prior to your appointment. 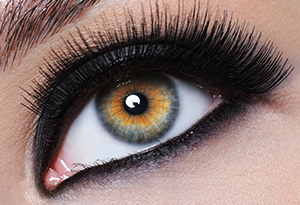 There are three types of lash extensions: synthetic, silk and mink. Size availability ranges from 6mm to 17mm. Once selected, the lashes are applied one at a time using a specially formulated, medical grade adhesive that will not irritate the eye nor damage the natural lash. However, since allergic reactions are possible, there are different types of glue based on one's sensitivity. Applying a full set of lashes takes about two hours, and can be maintained year-round with touch-ups recommended every two to four weeks. Everyone has different lashes, and depending on the condition of your own natural lashes, lash experts can only go a certain length or thickness. (This is to ensure that your own lashes remain healthy.) For example, if your natural lashes are on the shorter, thinner side, you won't be able to get a crazy, dramatic Kim Kardashian look, because it won't last. It's better to start out with a half set (50 to 60 percent of your top lashes) if you aren't sure or it's your first time. It’s easier to add more than to remove lashes! Since your eyes are shut the whole time lash extensions are being applied, no glue will ever get into your eye. If this happen to happen then then you will be assisted with cleaning of the eye. 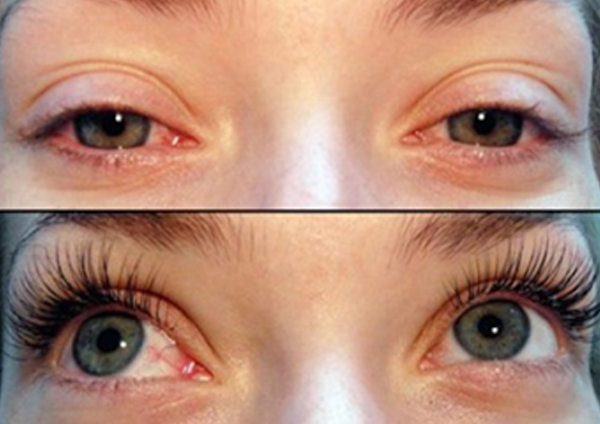 Lash extensions last through a full growth cycle of natural eyelashes, typically four to eight. That said, because each person’s lash growth is somewhat variable (just hair growth), I suggest light lash maintenance every three to four weeks to maintain a full look. Since each lash extension is attached to a single eyelash, they will fall out naturally along with the natural growth cycle of each lash. We recommend a touch-up every two to four weeks. Keep water away from your lashes for the first 24 to 48 hours after application or touch-ups. Water can weaken the adhesive before it is set and cause lashes to fall off. The after-care varies depending on the glue used. For instance, with glue for sensitive eyes, oil-based products or makeup removers around the eye area are not recommended. Using water-proof mascara on the extensions is not recommended for any type of glue, as it is hard to remove and can actually pull off the lashes prematurely when trying to take it off. If you are planning to wear mascara in addition to the extensions, only use oil free mascara on the tips of the extensions and with a very light hand. This will be enough to give your eyes that "pop" along with the extensions. Using mascara at the base of the extensions will get very clumpy. For questions or to set an appointment please call (817)600-4272. 2013 © Butterfly-Lashes. All Rights Reserved.